Indonesia Ecoventure is a independent tour organiser and ground agent for birdwatching trips to almost all birding areas in Indonesia, including Sumatra, Java, Bali, Lesser Sundas, Sulawesi, Maluku and Kalimantan. 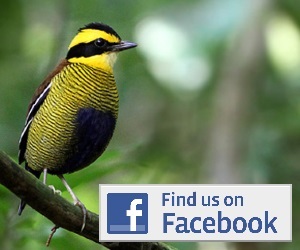 We can also arrange birding tours to some of Indonesia’s smaller islands, including Wetar, Damar, Sangihe, Sula Islands, Enggano, Siberut, Mentawai and more. We can also organise trips for non-birders with a special interest in cultural, social or nature exploration through community-based tourism. We cooperate with local agencies and networks throughout the Indonesian archipelago to conduct, informative, ecologically and socially responsible tours. By partnering with local communities, local NGOs, and progressive government agencies, we try to contribute to the local economy while simultaneously conserving Indonesia’s unique biological and cultural heritage. We work to fulfill birdwatchers and common travelers demands from basic to comfort standards, assist in arranging travel documents and permits to remote areas, supply clients with any necessary information for birdwatching and travelling to such areas, build contacts with local guides at each sites, and arrange air tickets to all destinations in Indonesia. is it possible to visit the Breeding Center of the Sumatran Rhinos at Way Kambas for a single person? I´m also willing to make a donation, to get access and see the Rino, because there is no way to see Rhinos in the wild. 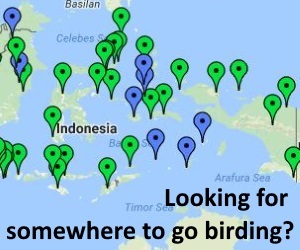 I would be in Jakarta for about 15 days and would like to do some birding locally in Jakarta. Can you help in providing a local Guide who can help be with the above and the charges for the same.